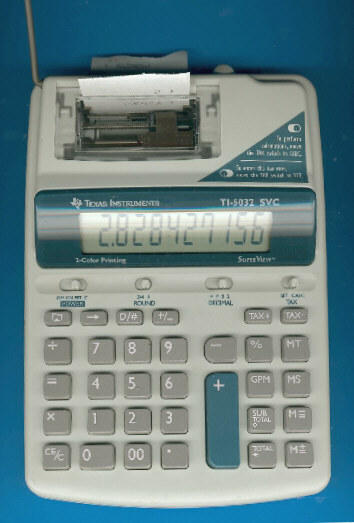 The TI-5032 SVC (SuperViewTM) traces back to the TI-5032 introduced in 1991. Both are typical desktop calculators used in small and home offices. Dismantling the TI-5032 SVC reveals a smart approach using a small but sophisticated printed circuit board (PCB) for the single-chip calculator circuit and the associated LC-Display and a large but simple PCB for the keyboard. Don't miss the €-5032 introduced in Europe. © Joerg Woerner, December 17, 2005. No reprints without written permission.